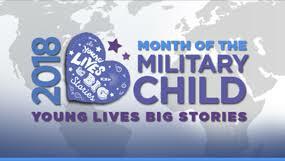 Friday, April 13- Purple up day in honor of Month of the Military Child. Wear Purple! VERY IMPORTANT: Please complete and return the form that will be coming home Monday, April 9 to let us know if your child will be returning for the next school year. Chalkwalk Volunteers are needed. If you can help with this year’s Chalkwalk please leave your name and contact number with the school office. The Chalkwalk event takes place on May 30. As the state wide CAASPP testing approaches we wanted to let you know of an option for your child (ren). Portions of the test require the use of headphones. We do have headphones at school, but we have found that students are more comfortable using their own ear buds/ headphones. Please consider having your child bring their own for testing. Please note Wolf Canyon start time is 8:45am. That is the time the students are expected to be on the blacktop ready to start the day. Our Safety Patrol is instructed to lock the gate after the start bell rings. Once the gate is locked, students will need to check in to the office for a late slip. Thank you for your consideration.